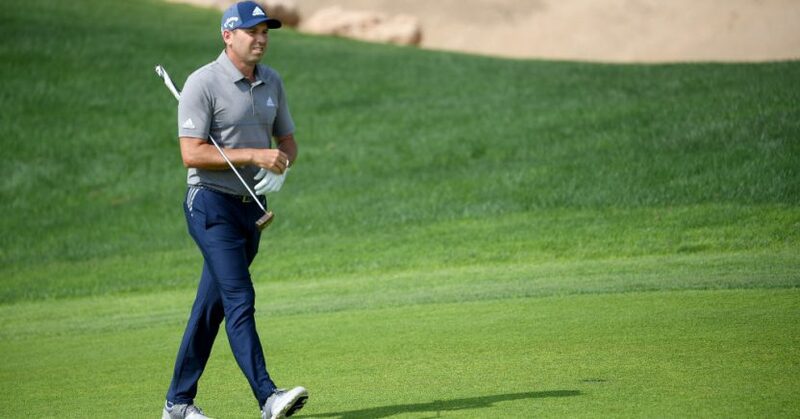 Sergio García added another chapter to his chequered history of poor on-course behaviour when he was disqualified from the Saudi International after admitting to having deliberately damaged several greens with his putter during the third round of the tournament. Players in the groups immediately behind García, including England’s Robert Rock, are understood to have complained to officials after coming across the damaged turf. García, who is no stranger to throwing tantrums on the course, had narrowly made the Saudi cut following rounds of 69 and 70. Saturday saw him sign for a 71, one over par, but he was called before European Tour officials after details emerged of clubs being smashed into putting surfaces on several occasions. The tour duly took the highly unusual step of implementing their rule 1.2a, which permits disqualification for cases of “serious misconduct”. It was the first time since 1972 that the rule had been applied. His fragile temper was also on display in Friday’s second round, when he angrily slammed his wedge into a bunker after needing two attempts to escape the trap, blaming his poor lie on the sand not being raked properly. García was expected to face sanctions from the European Tour’s disciplinary committee, but Keith Pelley, the European Tour’s chief executive, is said to consider the matter closed following García’s apology to his peers, and no further punishment is expected to be handed out.